Here in San Francisco, The Buena Vista makes the BEST Irish Coffee’s in the Bay Area!! (fight me for the title, I don’t care!). 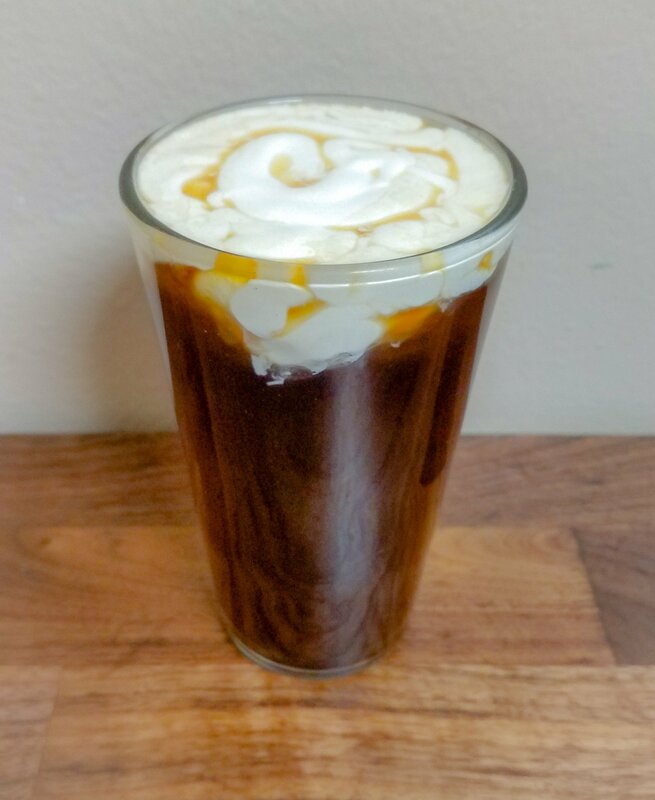 Since we moved to East Palo Alto, we do not get to visit that often anymore so I devised my own recipe to make at home!! First you are going to brew some fresh coffee however you like. Next, you can make your own simple syrup with equal parts boiling water and sugar (store it in a mason jar for later use). 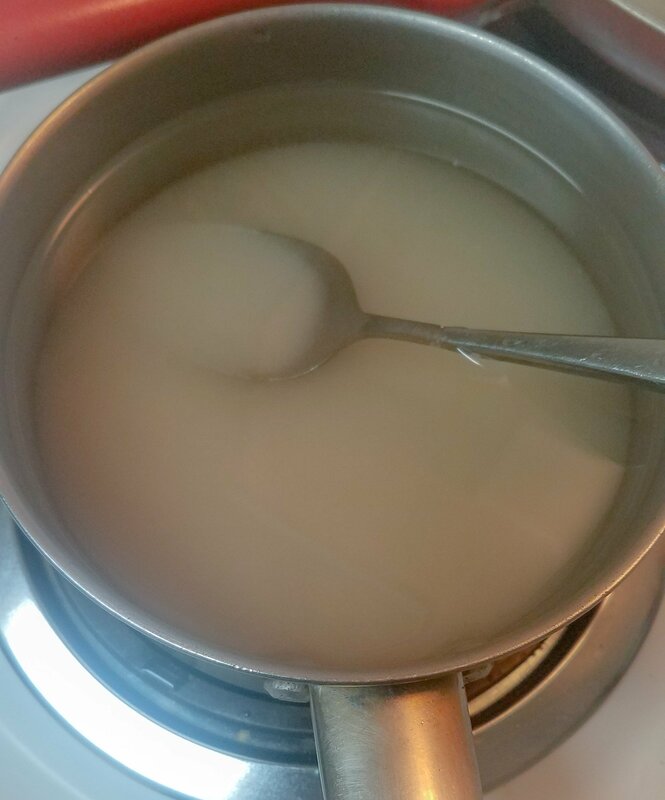 Keep stirring until completely dissolved! 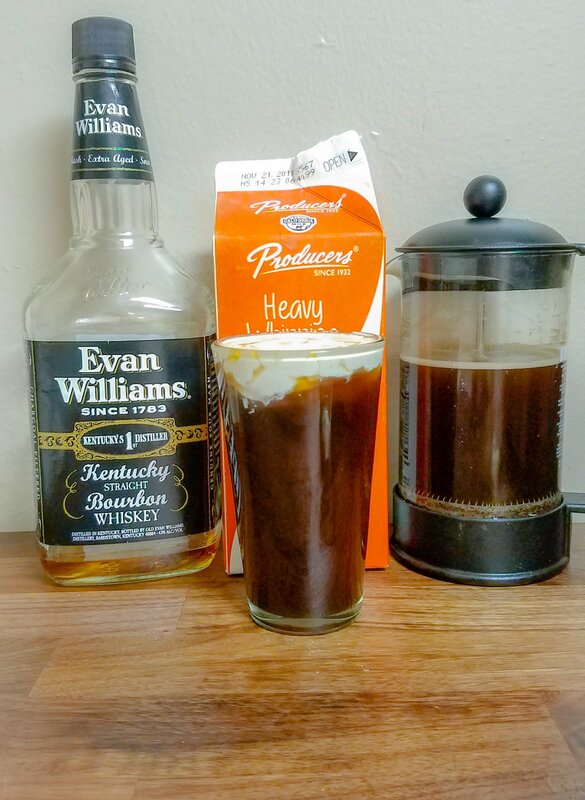 In a pint cup, pour coffee until just over halfway full followed by the simple syrup and whiskey. 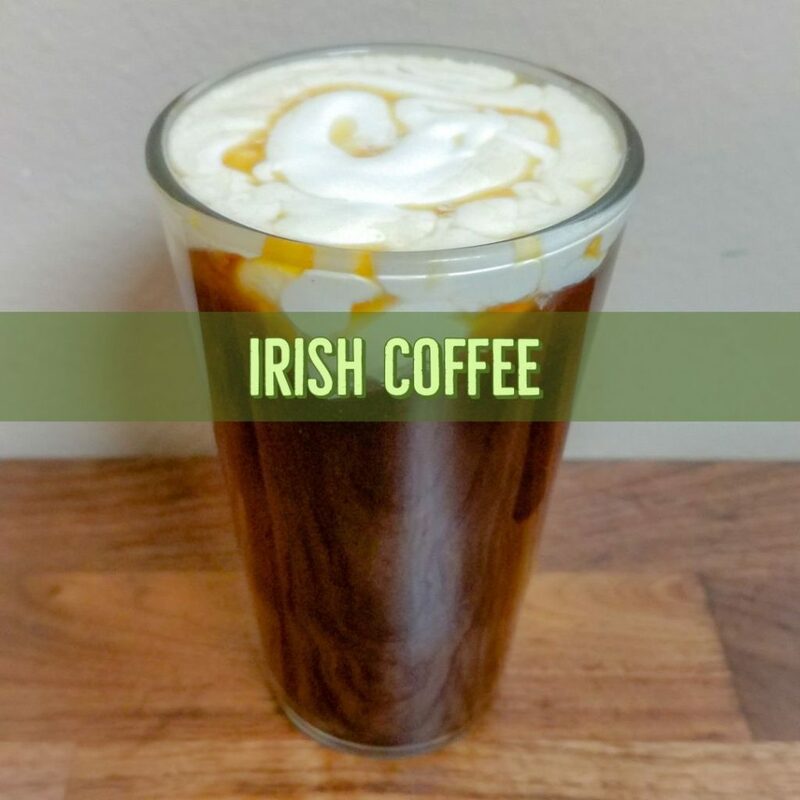 Stir the coffee, simple syrup and whiskey to combine all the flavors. Whip up a little bit of heavy cream before it starts to form peaks. After that, turn a spoon upside down and pour the heavy cream over so it evenly disperses onto the top. Take a sip and ENJOY!!! Perfect start to a weekend day!! Previous Post Creamy Chicken Noodle Soup!